Yo!As we all know that the latest version of Google’s operating system Android Nougat is already ready. Here’s is the list of devices that will soon receive Android Nougat update. As we all know that the latest version of Google’s Operating System Android Nougat has already started rolling out in some high-end devices. It includes new features like central redesigned notifications, multi-window mode, battery power optimizations and much more. 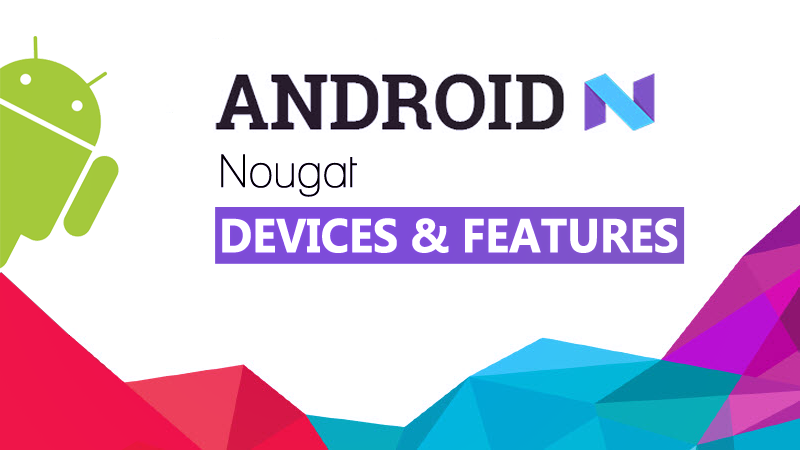 We have already listed all the devices that are expected to receive Android Nougat update in one of our previous post. However, the much expected and highly demanded Google Android 7.0 Nougat OS update is now available on more devices. According to the official Reddit forum postings, few users of LG G5 Smartphones have received the Nougat update in their devices. The update size is approximately 1.3GB in size. Android Nougat would download automatically on T-Mobile driven LG G5 device between the timeline of 11PM to 4AM on a daily basis. Android 7.1.1 update for Nexus 6P, Nexus 5X, and Pixel C will get the Nougat update on December 6,2016. Vodafone Australia claimed that the update may weigh 650MB and it might take up to two weeks to reach all devices. HTC also announced their Nougat update for HTC 10 through twitter. According to the reports from XDA developers, the update size will be about 1.11GB in size. The update is already made available to few number of users and it will slowly roll out to every HTC 10 users. Samsung had started to roll out the Android Nougat update in a beta program. The Galaxy S7 and S7 edge might be the next on to get the Nougat update of the stable version. The Nougat update for S7 and S7 edge is currently available in UK, USA, China, South Korea. *.Support for comparatively more languages. If you need to find more about the devices like Sony, Motorola then visits our previous article in which we have listed the expected devices that are about to receive the Android Nougat 7.0 update.